We, NAFSO in collaboration with STP-Swiss have planned a symbolic protest along with the Oxfam-NL "Land Rights Now" campaign this morning (Aug 02). 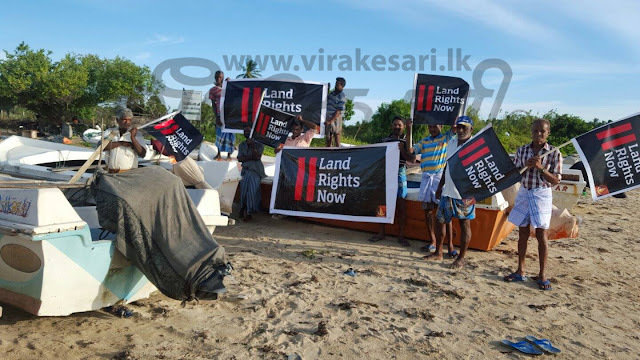 As a follow up action to UNWTO tourism conference held at Pasikuda, we wanted to organize a symbolic protest there demanding the retain the space for them to park their boats as an anchorage point. 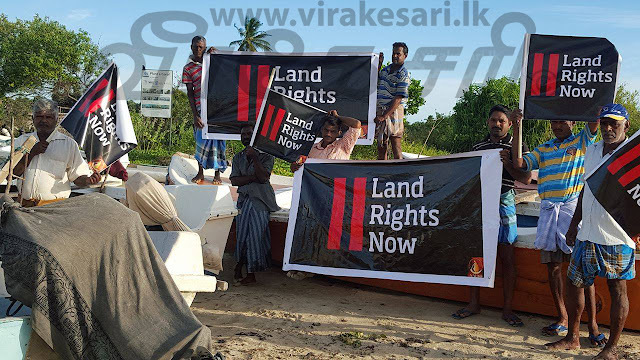 PM Ranil Wickramasinghe has forcefully/ with a heat arguments with the Pasikuda fishermen at a meeting there had asked the people to vacate the place as they[Govt/investors] want this available land too for the tourism. Because of this incident and the UNWTO conference, we wanted to do this symbolic protest at Pasikuda today and the CID officers at Valachchenai Police have approached the fisher leader who is leading the campaign at Pasikuda and threatened them saying they, CID wont allow this to happen at Pasikuda today. So, the NAFSO coordinator at Batticoloa is now approaching the fisher community to get more information and let you all know. Also, this is very important to report as the Good Governance Government is not allow people to exercise their right to Freedom of Expression and this is one of the most glorified position the so called Civil Society Actors are compare between MR and MS regimes. We don't see any difference in this regard as the same Police station and CID blocked the fishermen actions during the time of UNWTO conference held at Pasikuda in early July and growing threat to the civil actions to voice out for the rights of the people.